Larry McRae is the president and co-owner (along with his wife Cheri), of Jeep aftermarket armor and accessories manufacturer Poison Spyder Customs, of Banning, CA. Larry has a long history in both recreational and competitive off-road and rock crawling. He\&#039;s been involved with the development of Johnson Valley and the Hammer trails since their early days. During the heyday of competitive rockcrawling, Larry reached elite status in the sport by winning multiple championships with \&quot;Tiny\&quot;, the famous rock crawling buggy that revolutionized the sport. He also has two class wins in the SCORE Baja 1000. Larry has been involved in every King Of the Hammers race, as either a crew chief, co-driver or driver. In 2010 he co-drove with legendary desert racer Rob McCachren. In 2011 he drove the \&quot;JKOH\&quot;, a production Jeep Wrangler JK that was turned into a KOH racer in a mere 17 days. For 2012, Larry drove a new Poison Spyder built racer, created specially for the new Modified class in the KOH Every Man Challenge. He won the class in the King Of the Hammers EMC that year, and went on to win the gruelling Vegas To Reno race, Cinco de Baja, and the Western Regional and National series class championships for the 4500 \&quot;Modified\&quot; class. The following year Larry raced the same car with a few minor changes, but this time in the wide open Ultra4 class of the King Of the Hammers main event. Larry finished in 11th place, among only 27 finishers from a starting field of 126 teams. 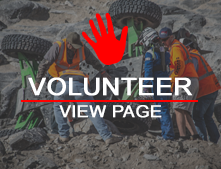 For 2014, Larry and the Poison Spyder team have built an all new racer for the Ultra4 class, based on a production Jeep Wrangler frame and body, but with the engineering of a state-of-the-art rock racer under its skin.